Wooow. Just some of the BEST classic stuff there. You guys need to get on Twitter friends, I follow this dude. So much info on there, you guys will go nuts. That's cool stuff with the new graphics. But I still miss both of the old logos! I'm with you. I prefer the old logo from the early 90's and the tv-graphics from the 90's to the 10's. I've read a couple McLaren books, and both were similar to this very good article that showed Mika awoken Aryton toward the end of 1993. Juan Pablo Montoya podcast, typical sincere no BS conversation from one of the better under rated F1 drivers. I'm still baffled why he quit F1. And why he never had an opportunity to get a Le Mans win to get the triple crown. He explains his F1 quitting decision in the podcast but no mention of LeMans. Also gets into why the early 2000's F1 cars were the best to drive especially on qualifying runs. Bluntly honest, no BS, and despite getting arguments with Patrick Head he also respects him technically. 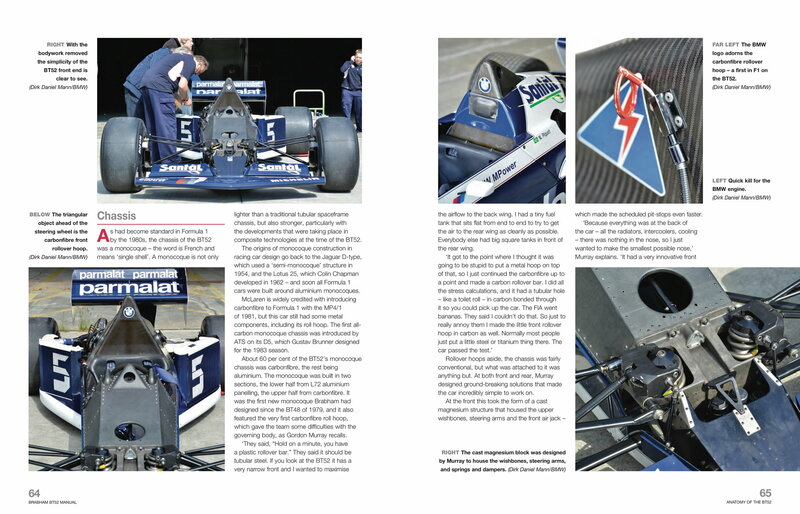 Amazing how a simple phone call with Frank Williams got him into F1 and out of his Ganassi contract. Last edited by Legend2TL; 12-07-2018 at 10:12 AM. I still think something is missing. The way he explains it, he says he's driving for McLaren, he get's an offer from Chip Ganassi to drive in NASCAR, then Ron says leave now, since your mind is elsewhere (in America), so he quits mid season. Very odd. Did the CGR offer come out of the blue, or did he pursue it himself because he wanted an out? My speculation is that he liked America rather than Europe, and he didn't like the environment within McLaren, so he asked Chip if there was an opening to go back to the states. It's just such a weird move for any driver to make. ​​​​ Some beautiful cars there. The regulations from the last few years gave ensured that modern cars will be ugly. 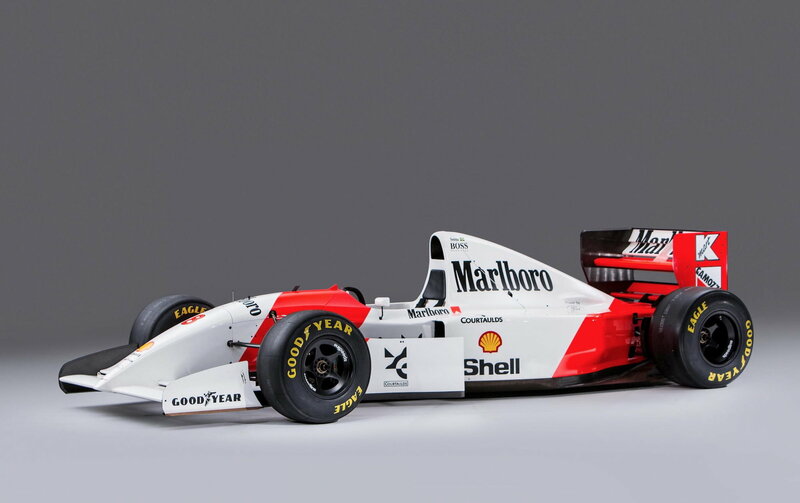 From the stepped nose, to the point nose, to the oversized fins, to he Halo. and there where some better examples (Benneton B191 was elegant and beautiful over the B186). Last edited by Legend2TL; 12-09-2018 at 09:15 PM. I remember that race! There was 7 cars running at the end if I recall. Thanks for the look back Legend! ^ Chief, I love that power slide Panis does in the wet at 1:20-22 and catches it with some counter-steer. One of my favorite races of all time. Chief, I was curious about 1996 Monaco and looked up the race on Wiki and discovered there were only THREE cars running at the end. FIA gave pints to the first 6 places since the 4-6 had completed enough laps to gets the points. 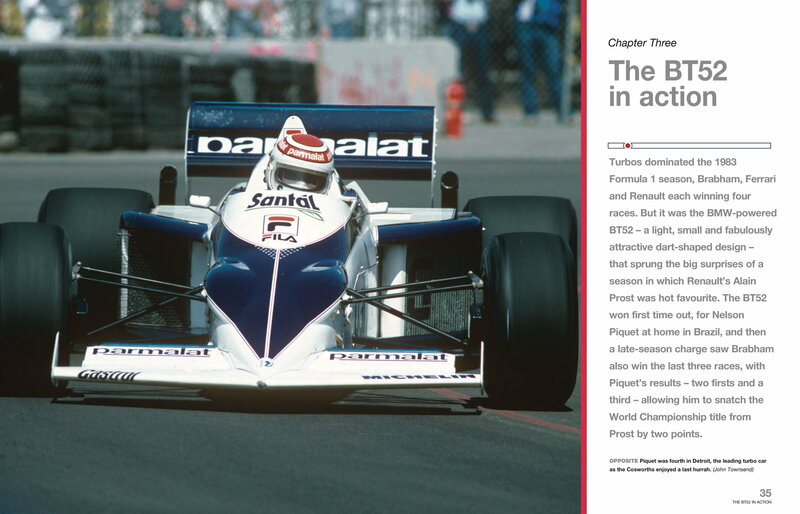 I was at the 1984 Detroit Grand Prix, there were only six running cars at the end, but Brundle's Tyrrell was disqualified for technical infraction. Just three?? I knew it was a lot less than 10 but don't remember 3. The look on Michael Andretti’s face suggests dental surgery performed with forks and knives would be more pleasant than discussing his ill-fated Formula 1 season. 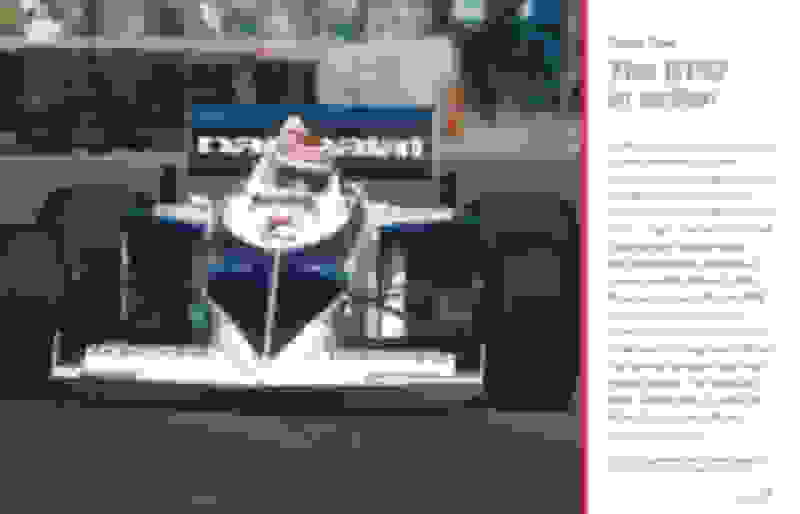 IndyCar’s best driver, heading east in 1993 to test his mettle against F1’s titans, was shipped home early—three races shy of the finale—in embarrassing circumstances. A lone podium finish and a mountain of blame for stumbling on the sport’s biggest stage would soon be worn with the permanence of a bad tattoo. Dredging up 1993 involves unstitching emotional wounds for Andretti. Given the decades that have passed, the intense bitterness that marked his McLaren experience has softened, but it’s lighter shades of the same disappointment. A full 25 years after the messy, life-altering encounter where his career nearly ran aground, Andretti was surprised to learn he’d reached its silver anniversary. Within the concrete parking structure where his team was housed in March for the St. Petersburg IndyCar event, sitting in the engineering office at the front of an Andretti Autosport trailer, the 56-year-old inhaled deeply and went back to a place in time that has yet to warrant celebration. The son of 1978 F1 world champion Mario Andretti and winner of the 1991 CART IndyCar Series championship was America’s great second-generation hope for grand prix racing. Few raced harder than Michael. Extracting bold speed from intense machines was his specialty. Al Unser Jr., another American progeny with a famous last name, was also courted by F1, but Andretti was the obvious choice. 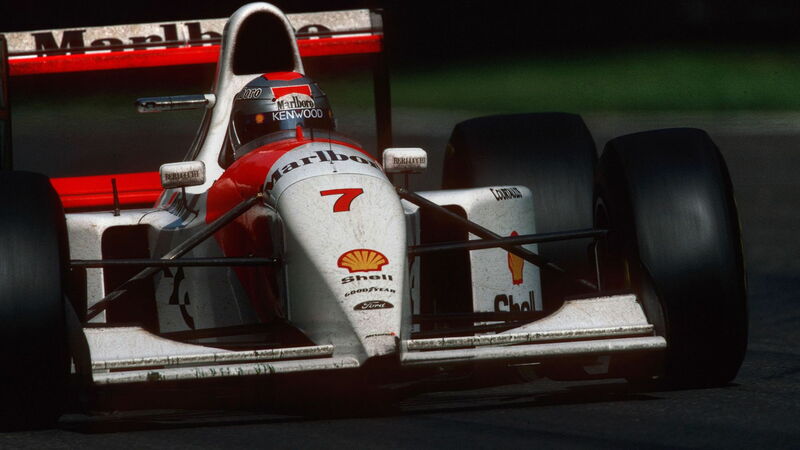 F1 was about the all-out attack, and in Michael, McLaren boss Ron Dennis had a new muse. Everything about Andretti’s talent and driving style should have translated into immediate success. 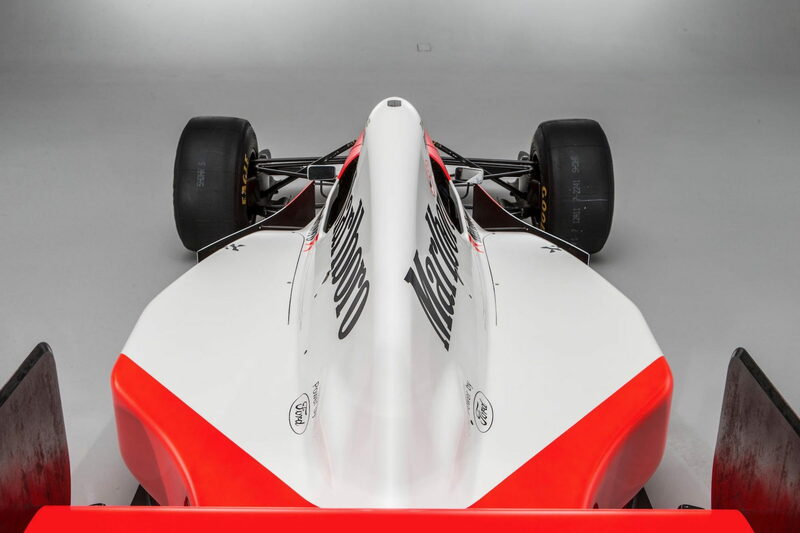 Testing with the McLaren-Honda team began in 1991—the year of Ayrton Senna’s third and final F1 title—with an eye towards a future engagement. 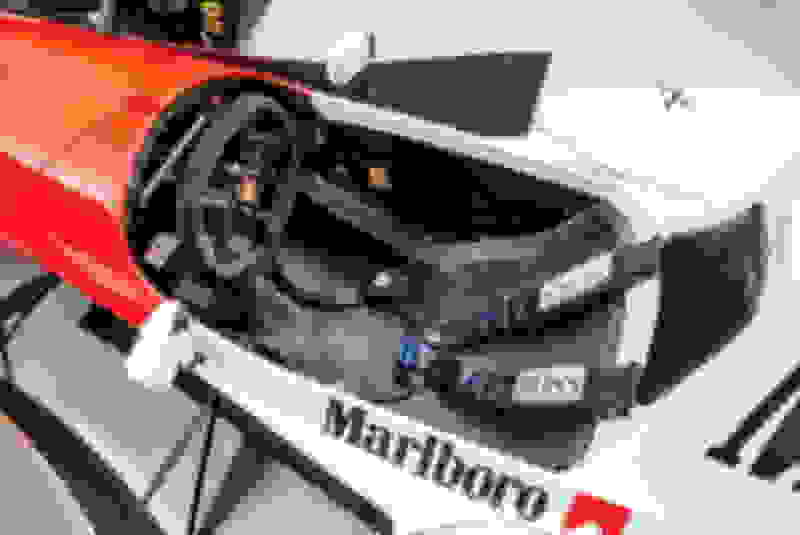 Confirmed as McLaren’s new driver during a press conference held in New York in September of 1992, expectations were high and platitudes flowed freely. Immense faith was also required on Andretti’s part at the time. In recounting all that would eventually go sideways in 1993, the unstable situation awaiting Andretti at McLaren is often overlooked. 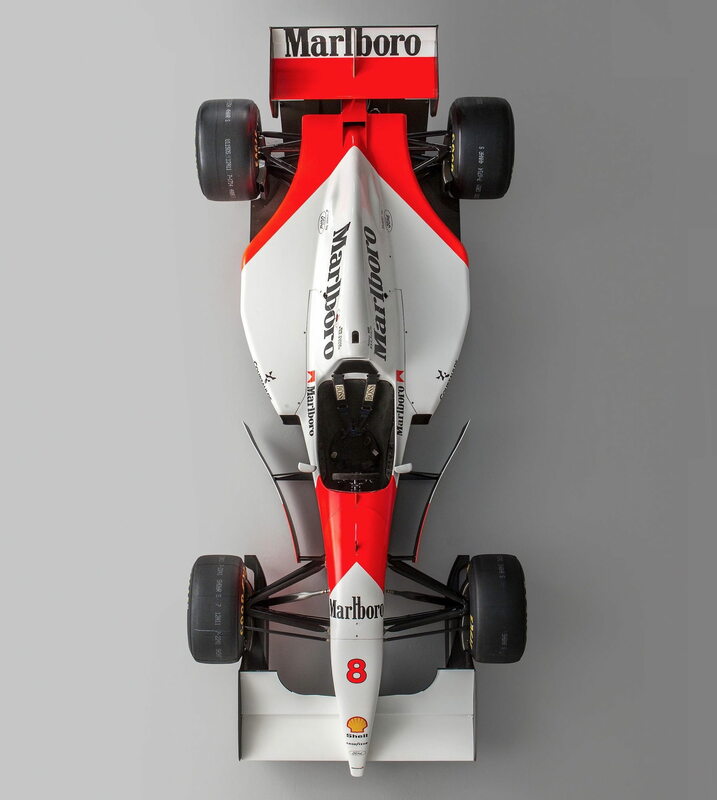 A frustrated Senna was nearing the end of his McLaren contract at the same time Michael was being welcomed to the team. 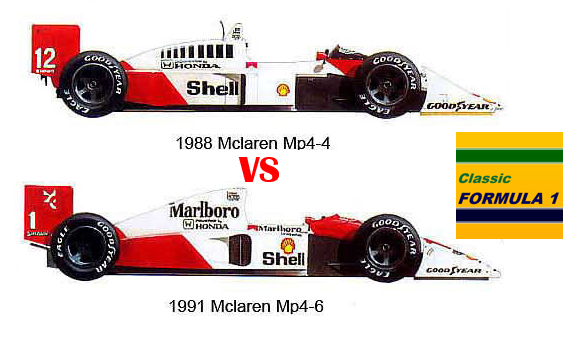 1992’s McLaren MP4/7-Honda was no match for the dominant Williams FW14B-Renault. Senna wanted to join Williams for 1993, Williams wanted Senna, and not-so-secret discussions were held. 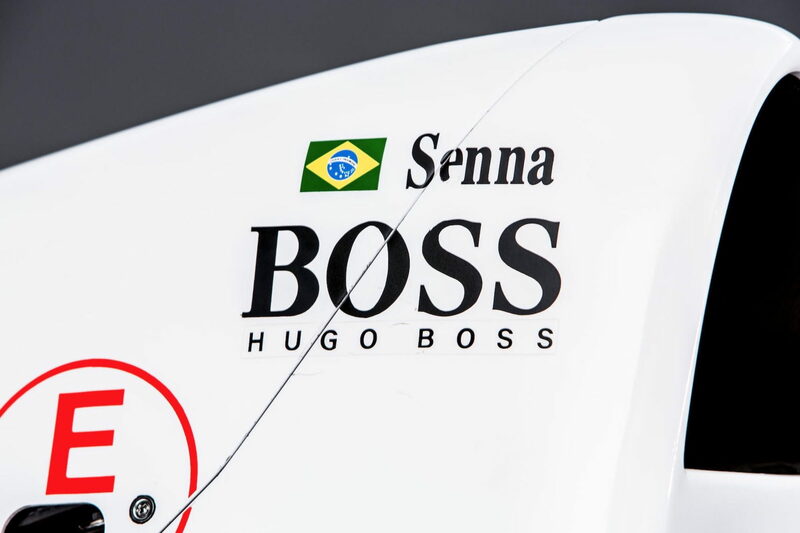 The Senna-to-Williams chatter only grew in frequency as the season wound down. 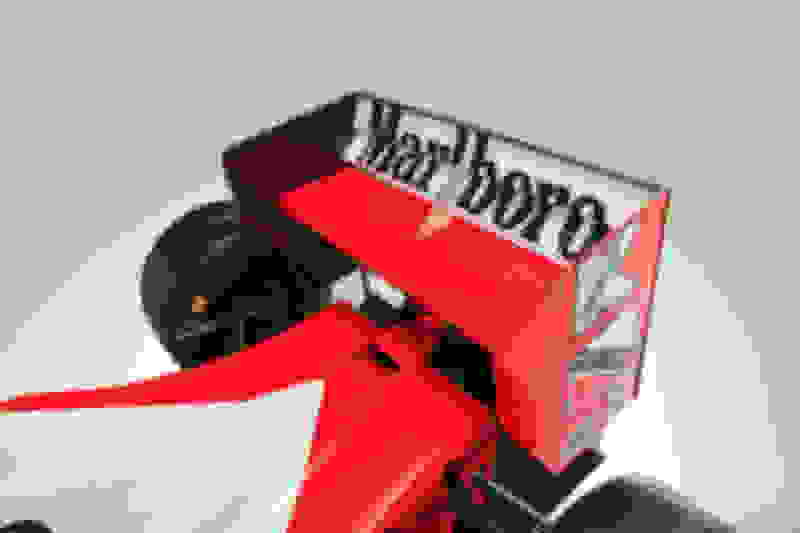 While Senna was looking to ditch the MP4/7 for something faster, McLaren teammate Gerhard Berger was finalizing a similar move; he’d be leaving after the last race to rejoin Ferrari. And Honda, whose engines and finances made a world of difference at McLaren, was also set to depart F1 at the end of the season. 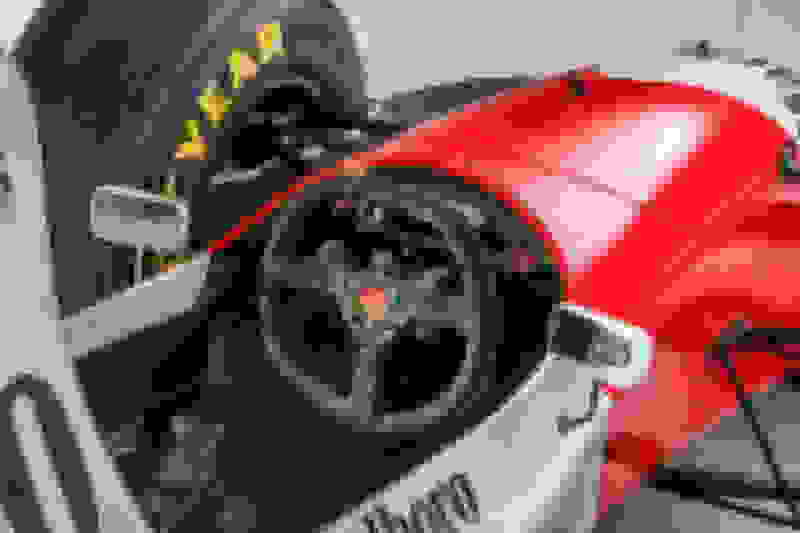 From the heights of winning the world championship in 1991, McLaren was in an apparent freefall as three key pillars were staring at the exit door by the conclusion of 1992. 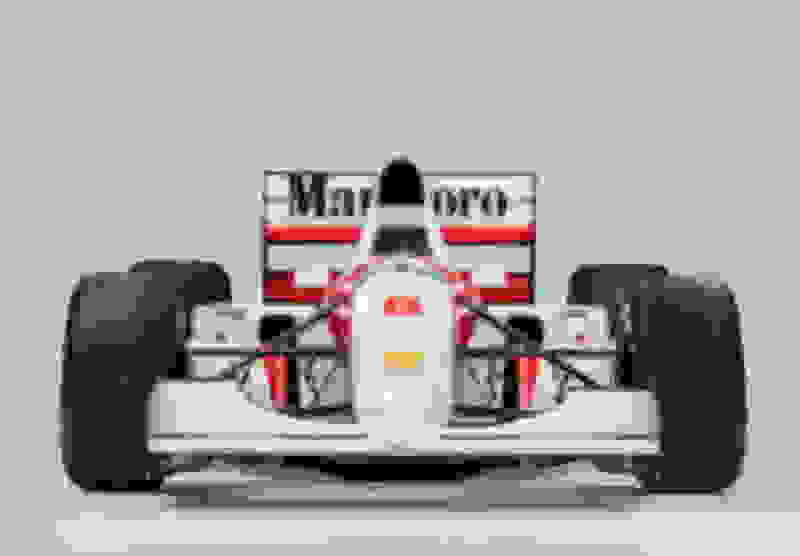 Instead of joining a stable, dominant McLaren with Senna as his teammate, Andretti put his name on a contract without explicit knowledge of who’d be driving the second car or which engines would propel the upcoming McLaren MP4/8. For Dennis, signing Mario’s son was the easy part; plugging the rest of the holes for 1993 would dominate his offseason. Leap forward a quarter century and the confidence in Dennis–or anything resembling a positive comment about McLaren’s former leader—has long been abandoned. Whatever trust Michael once placed in the notoriously cold and prickly Briton will never be restored. In addition to the unresolved matters of engines and a teammate, Andretti also accepted the challenge of competing in F1 as a rookie with zero circuit knowledge. Long before simulators existed, and after the era of unlimited testing, Michael would meet and learn most of the tracks he’d navigate while rolling out for Free Practice 1. The concept of taking a few years to figure out the new surroundings was not part of the plan; Andretti was expected to adapt quickly and deliver. Tough negotiations between Dennis and Senna raged throughout the off-season as a shot at his dream ride with Williams closed when it signed arch nemesis Alain Prost. 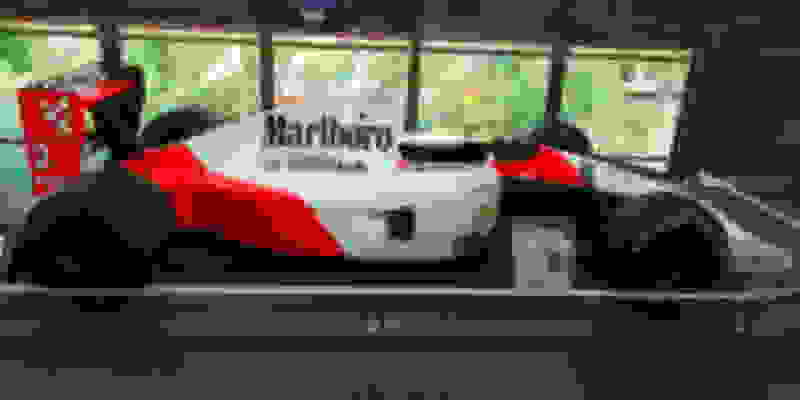 Talks with McLaren continued up to the final moments before the season opener in South Africa got under way; facing a hopeless situation, Senna even floated the idea of sitting out the 1993 season. In a nightmare scenario for the team and the sport that grew darker as the opener in Kyalami approached, F1’s biggest attraction finally agreed to drive for McLaren four days before the grand prix season launched. Four days. At a reported $1 million per race across a 16-round calendar, Dennis later proclaimed Senna’s giant retainer came at McLaren’s future expense; the monies to pay F1’s demi-God were supposedly robbed from the team’s 1994 R&D fund. Andretti and Mika Hakkinen at the debut of McLaren’s 1993 competitor. Until Senna ultimately agreed to return, promising Finn Mika Hakkinen was the final piece of the McLaren driver matrix. The ex-Lotus F1 driver served as an insurance policy for Dennis to pair with Andretti in the event Senna failed to materialize. Having positioned McLaren’s finances as being vastly overexposed, the second blow came with an inability to sign a major auto manufacturer to replace Honda. Minus the Japanese brand’s corporate and technical support, Dennis was left to lease customer Ford V8 engines from Cosworth. Thanks to an ongoing relationship with the Benetton F1 outfit, Cosworth’s contractual obligations meant Michael Schumacher and teammate Riccardo Patrese were first to receive the newest engine specifications. 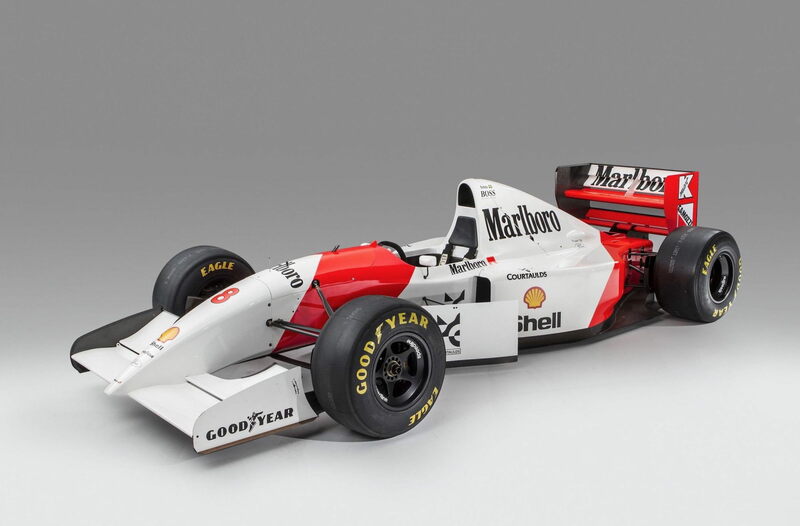 McLaren, Andretti, and an incandescent Senna would be left with second-tier Cosworths. 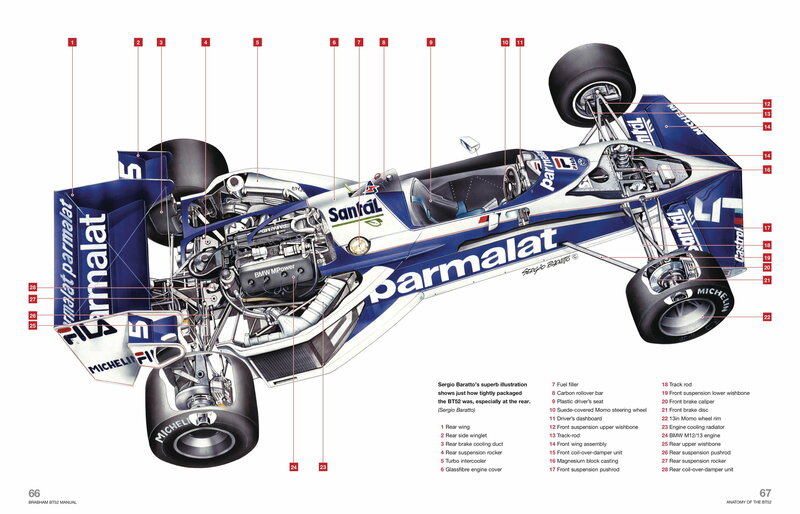 Down an estimated 100hp or more to the Williams FW13-Renaults driven by Prost and Damon Hill, and shy somewhere between 10-20hp to the Benetton drivers, the only advantage Senna and Andretti could look forward to was the sublime MP-4/8 chassis. With its excellent active suspension system and complementary aerodynamics, losing the horsepower battle to Williams and Benetton would not prove to be as lethal as some anticipated. F1’s digital formula was alien technology compared to the analog Indy cars Andretti mastered. Traditional shocks, springs, and anti-roll bars were replaced by electro-hydraulic rams. Computers dictated ride height, roll, rake, heave, tilt. Downforce was reduced on the straights by raising the nose and lowering the rear. 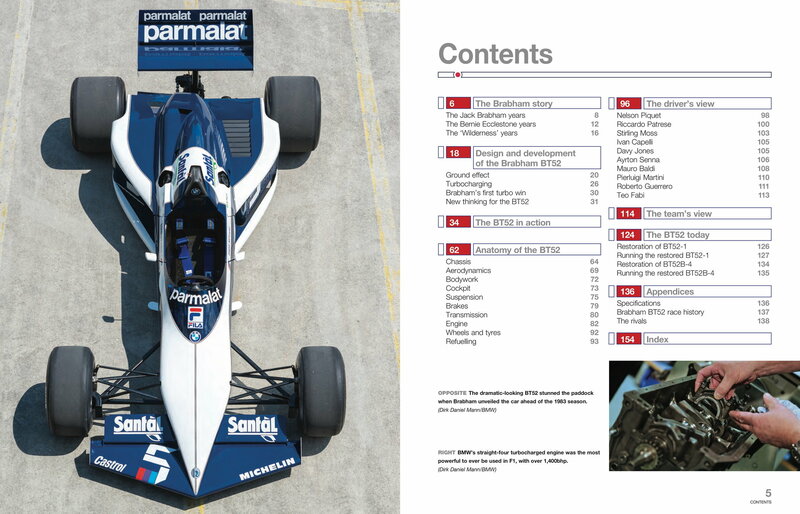 Optimal aerodynamic platforms were maintained from corner to corner to improve downforce. Traction control was legal, and for some of the more adventurous teams, active rear-wheel steering was employed. Once computers took over, many of the normal inputs drivers used to feel the behavior of a chassis were erased. Finger strokes on keyboards would dictate those sensations, and in a critical point Andretti would raise after his abbreviated F1 season, it also gave teams immense power to secretly influence a driver’s competitiveness. 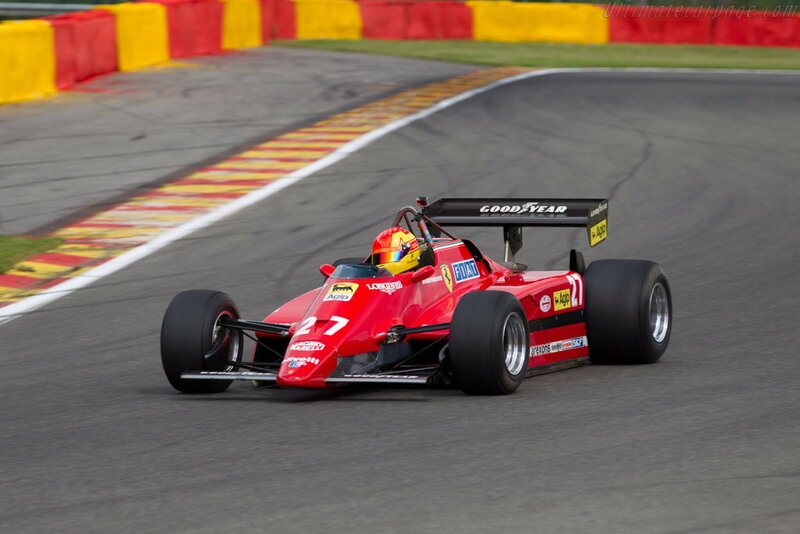 Noses would not dive under braking unless instructions were given to the computer to lower the ride height; squat during acceleration was also a value to manipulate to improve traction, as were the affects of G forces while cornering. Significant effort was made, largely through experimentation, to add ‘feeling’ back into the handling by dialing numbers up or down on the active components to lightly pretend it was an old spring-and-shock machine. If a traditional spring-and-shock car possessed a dire handling trait, well-known solutions were readily available to solve the problem. Change to a different spring rate, soften or stiffen an anti-roll bar, or adjust the ride height if needed through the use of wrenches and sweat. An observant driver could watch from the cockpit on pit lane, or while the car was on the setup pad, to see the changes performed. 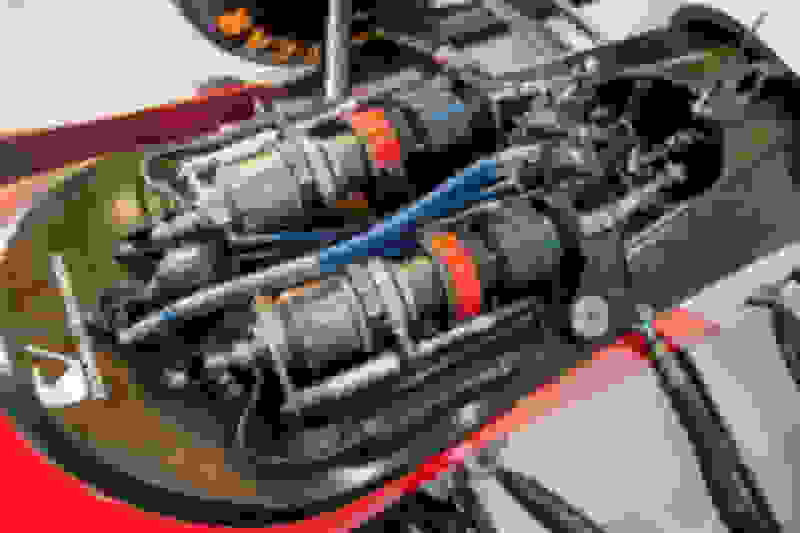 In F1’s digital age, those visual checks were lost as all primary chassis inputs were sent via computers. Faith and trust on Andretti’s part would be required once more. Oddly, foreign cars and foreign tracks would not hinder Andretti’s initial efforts in 1993. It was new rules put in place by the FIA that did no favors for the American and other rookies in the field. “The worst part about it is that, you look back, only that season, there was a rule that was instituted that every single practice, you could only have a maximum of 23 laps you could run, and that’s counting the in and out [laps]” Mario said. 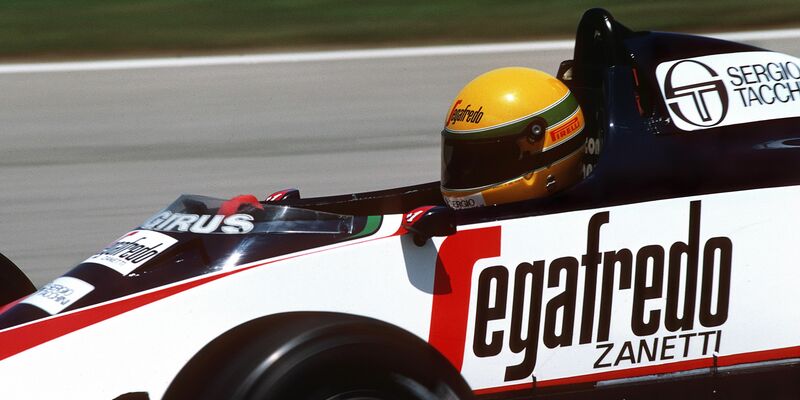 Senna rocked up and defied predictions in South Africa by qualifying next to Prost on the front row. Andretti managed an acceptable ninth on the timing monitors. Round 2 in Brazil saw the gap narrow as Senna qualified third to Andretti’s fifth. At the famed European Grand Prix at Donington Park where he produced one of his most acclaimed victories, Senna started fourth while Andretti was close again in sixth. 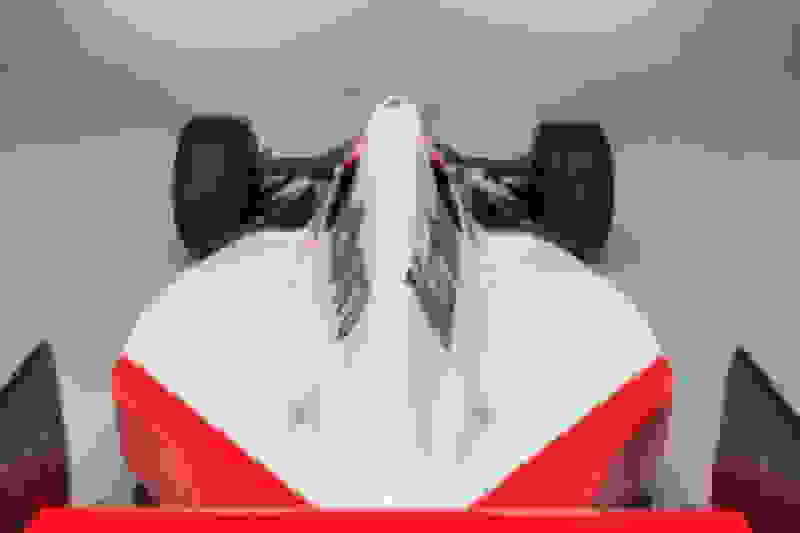 Michael made another statement in qualifying for Round 4 at Imola; Senna was fourth, he was sixth, and in isolation—at least while determining the starting grid on Saturdays—the IndyCar star was beginning to shadow his teammate. Sundays, when it came time to race, is where the story starts to turn ugly. Three races down, four laps complete, and all of the European doubts and negative stereotypes regarding American talent were being fed by Andretti’s brutal F1 baptism. Fast when it didn’t matter, unable to get to the checkered flag when it did; dark clouds were forming around McLaren’s rookie. Michael wasn’t responsible for all of the contact, nor was he deserving of all the blame and derision that came his way, but while he was finishing 23rd, 22nd, and 25th to start the season, Senna delivered a second, a win, and another win for good measure. Strip qualifying from the conversation, and the cash-strapped, underpowered McLaren team had one driver spraying champagne and leading the championship after three races, and the other vying for last place. It’s hard to say how the conversations went inside the team, but outside, calls for a change were already being made by some fans and members of the media alike. The move to San Marino for Round 4 had all the markings of a turnaround for Andretti. That sixth-place starting spot—directly behind Senna—was put to good use until an unforced spin on Lap 33 pitched Michael into the gravel and out of the race. Another collective groan was heard Stateside. Patience–thin prior to the spin, was nearing its end. 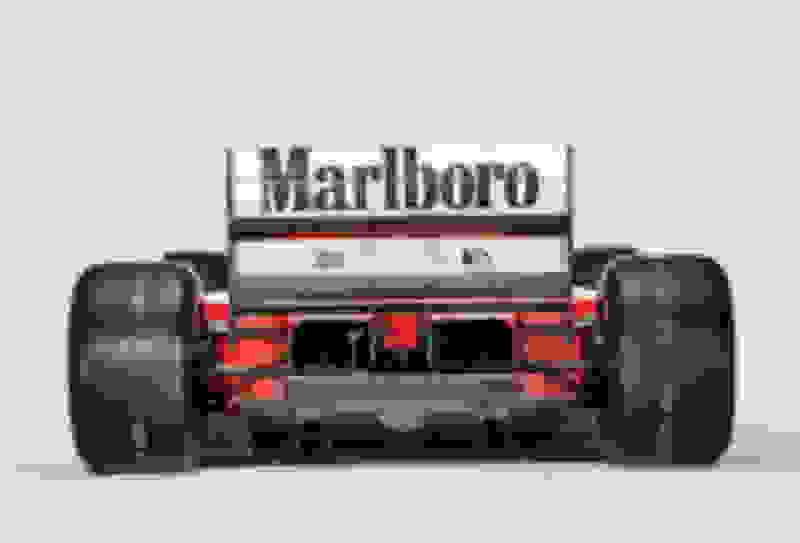 Left to stew for two weeks until the Spanish Grand Prix, the qualifying routine continued; Senna was fourth, Andretti was sixth, and come the race, Michael’s breakthrough arrived. Finishing fifth, albeit a lap down to Senna, was like a small victory for Andretti. He’d finish three more races in a row, with a sixth-place at the French GP adding to his points-earning performances. A three-race slide would bracket the positivity as a spin in England, crash in Germany, and an electronic failure in Hungary cast a pall over the upcoming push through the final rounds. Spirits were slightly lifted with an eighth in Belgium, but another trend had developed by this stage of the season. Despite Andretti’s prowess over a single lap in qualifying, Senna was routinely finishing one lap ahead of Michael when both McLaren drivers completed a race. Even the fifth-place in Spain and sixth-place in France involved Andretti crossing the finish line one lap arrears from his teammate. Something was clearly adrift. Andretti would close the chapter on his F1 career at Monza. Senna started fourth, Michael was a remote ninth, and this time, it was the Brazilian who tangled with another driver and exited the race prematurely. Andretti was swift and clean, always moving forward, and celebrated his first podium—an amazing third—that only weeks before seemed like an impossible result. Standing on the podium, his big smile beaming, Andretti was where he belonged from the outset. And while stepping down from the podium, he also knew it was his last race as an F1 driver. The charges against Andretti by Dennis worked variations of the same theme: A lack of commitment. The go-to example of Michael’s failings involves maintaining his family residence in Nazareth, Pennsylvania. Rather than uproot his young family for Europe in order to be close to McLaren’s U.K. factory, and most of the F1 races on the schedule, Andretti chose a steady diet of trans-Atlantic flights. Still today, the decision to commute is consistently cited as an indictment of Andretti’s character. “It wouldn’t have done anything,” he says. “No, it wouldn’t have done one thing. People are clueless. Me even being there–first of all, when I was there [at McLaren], they’re like ‘okay, you guys need to leave,’ when I was at the shop, you know? Then so what was I going to do? Twiddle my thumbs? I never got off the time zone when I’d be there… thank God for the Concorde because I could be there in, door-to-door, six hours. Mario Andretti believes his son was viewed as an expendable luxury once Senna returned to McLaren. As greater levels of hindsight come into play, Michael wonders if staying in CART for 1993 to build upon the heavy momentum he’d found with the sleek Lola-Ford/Cosworth package—while remaining alongside his father at Newman/Haas Racing—would have been the smarter play. With Andretti’s Newman/Haas vacancy, 1992 F1 world champion Nigel Mansell came to America, filled the seat, and promptly took IndyCar by storm, winning the title in his first attempt. 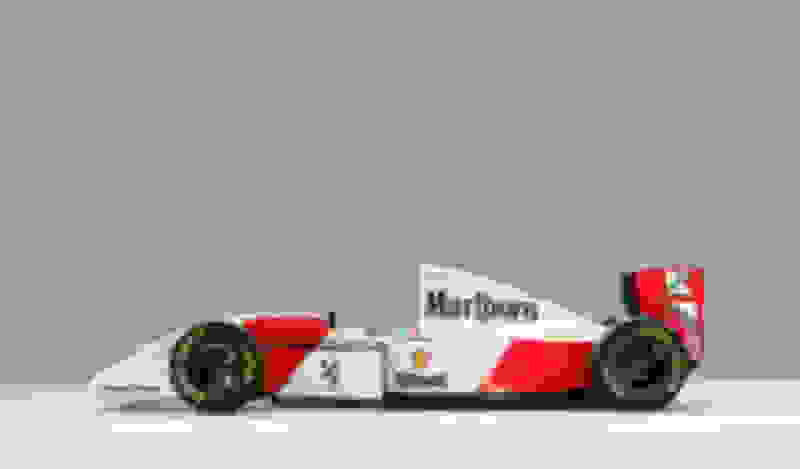 Driven by Mansell’s CART success in his absence, Andretti missed out on a prime chance to score a second CART championship while toiling away in F1. In one regard, having the world’s best in Senna as a benchmark was only possible by leaving IndyCar, which bears fond memories. Drawing back to his great qualifying-but-poor race result routine, Andretti is convinced McLaren manipulated the computerized MP4/8 chassis to limit his race-day performances. “It was cool when I was quicker than [Senna] in certain corners and stuff, and it was never on a race weekend because my car never did the same thing at a test,” he says. “At tests, I’d always be right there with him, literally within a tenth, but I go to a race and mysteriously I’m two seconds off the pace. Michael would sign with the Chip Ganassi Racing IndyCar team for 1994. With Mansell on the second of a two-year deal with Newman/Haas, reclaiming his former ride wasn’t an immediate option. And Ganassi’s team, despite all it’s achieved since 1994, had yet to become a front-running outfit. With Andretti on board, CGR won its first race—at the season opener—as Michael was welcomed back to the paddock. He’d win again at Toronto and place fourth overall in the championship. Andretti’s IndyCar career would wind down following the 2002 season; a few more attempts to win the Indy 500, a race he dominated at times, continued through 2007, and with that lone 1991 CART title in hand, he retired and turned his full attention to team ownership. A funny thing happened late in 2016. Dennis was politely moved aside at McLaren and American Zak Brown was given control of the team Michael had come to hate. Brown, a fan of Andretti’s work as a driver and his team’s stature as a perennial Indy 500 favorite, made peace with Michael on behalf of the company. He went one step further by achieving something that was previously impossible: Andretti and McLaren formed a partnership to field an Indy entry for Fernando Alonso in 2017. By the end of our conversation, the tinge of bitterness in Michael’s voice had gone, mostly. Mario remains a fierce protector of his son’s legacy, and namely, with Michael’s disillusioning F1 experience. ^ The podcast is pretty good as well (bottom of the webpage linked). Fueled by his desire to stand out from the crowd of plain white helmets, Ayrton Senna experimented with a number of helmet designs before settling on the bright yellow one with the green and blue tripes that became his signature. 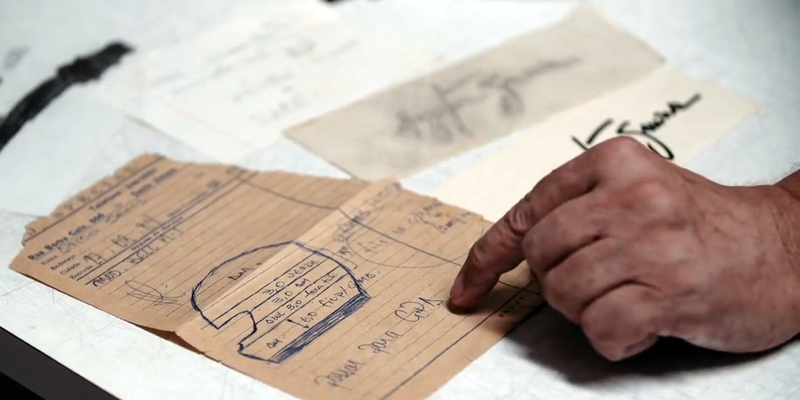 The winning combination came from Sid Mosca, founder of Sid Special Paint, in 1979. He had entered the airbrushing business six years earlier, and ended up painting helmets for Nelson Piquet and Emerson Fittipaldi as well. Today, Sid Special is run by the founder's son, Alan Sidney Mosca. Representing youth, movement and aggression with Brazil's national colors, Senna kept his helmet design nearly the same for 15 years, until his untimely death. Starting out with Arai helmets, Senna eventually used Bell, Rheos and Shoei lids, with minor changes to the shade of the yellow background and the occasional black stripe replacing the dark blue. Today, Sid Special Paint continues to produce replica Senna helmets, mostly to benefit the Ayrton Senna Institute, an education initiative in Brazil. Motorsport Network’s first major feature film commission, Motorsport Heroes, revealed its cast list and offered a sneak preview of its compelling narrative today. After an intensive period of filming and editing, Motorsport Heroes’ BAFTA and Sundance-award winning director & producer, Manish Pandey, took time out to outline his vision for the forthcoming film. Tom Clarkson looks back at the remarkable story behind Michael Schumacher's Formula 1 debut at Spa in 1991. 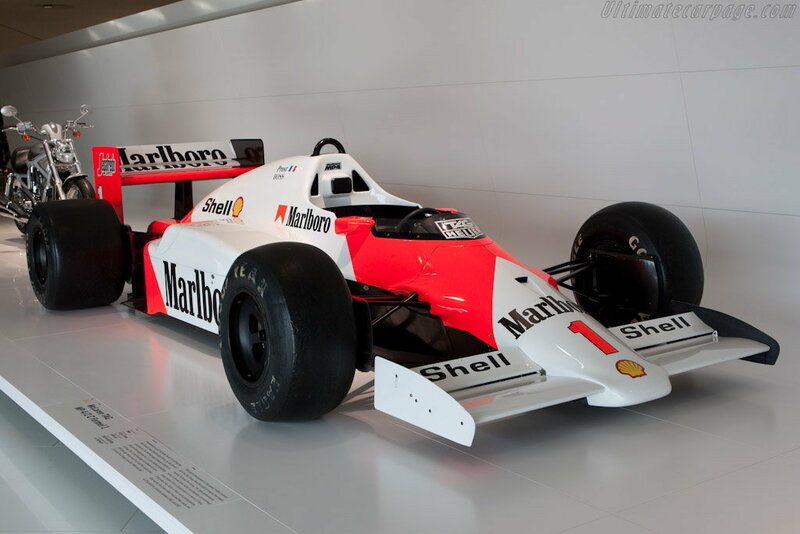 This McLaren MP4/8 was the car driven by Ayrton Senna to his record-setting 6th win at the Monaco Formula 1 Grand Prix, beating the previous record holder Graham Hill, and setting a record that would remain unbroken to the modern day. 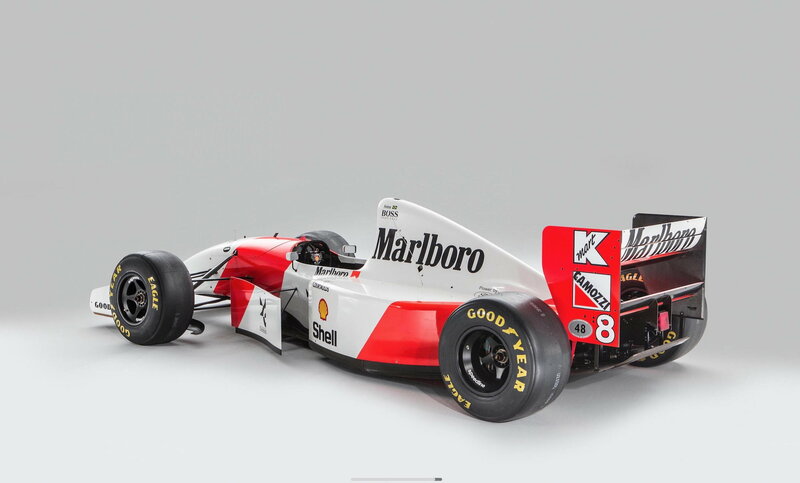 The car that would give Ayrton Senna his final Monaco win is now due to return to the principality in 2018, and be sold on to a new owner. Impressively, the car is in full working order and ready for vintage motorsport competition. Neil Oatley designed the McLaren MP4/8 for the 1993 Formula 1 season, with an advanced package of electronics including traction control systems, active suspension, and a semi-automatic paddle shift transmission. If the MP4/8 had any great weakness, it was its engine. 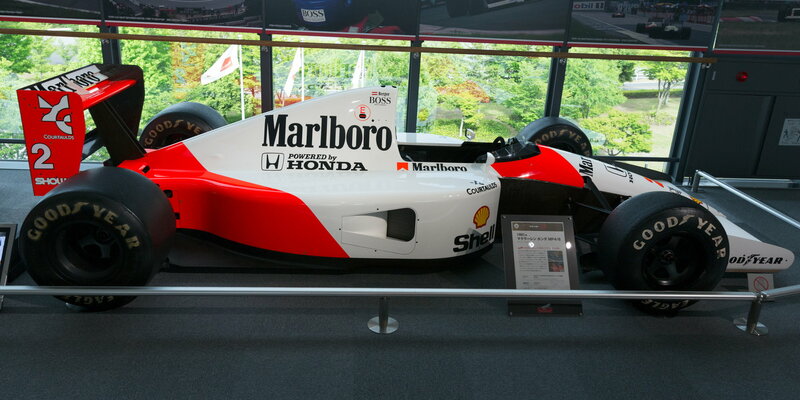 The previously dominant McLaren used a Honda engine which had ceased production at the end of the 1992 season, a causality of the global recession that had impacted car sales, causing Honda to tighten its belt. The race to find a new engine had consumed Ron Dennis, he wanted the Renault V10 but had been unable to wrangle a deal, and had to settle instead for the Ford-Cosworth HBD7 V8. 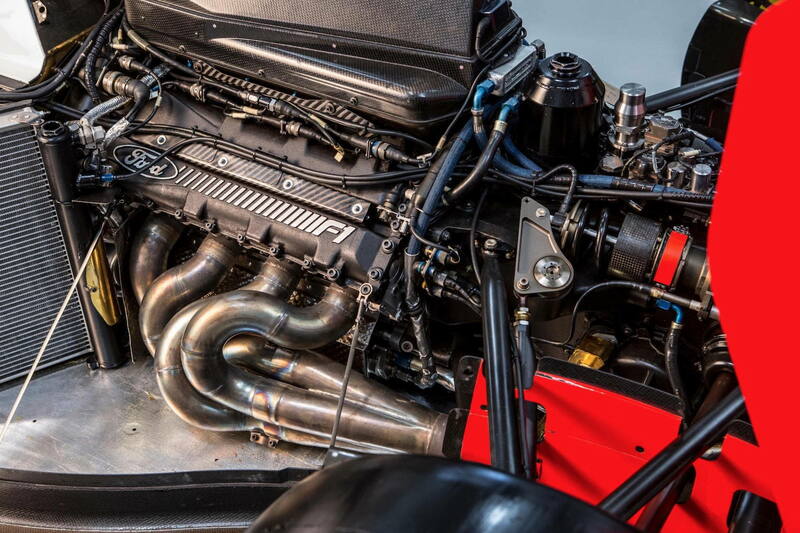 Although it was almost 80 hp down on the Renault and 60 hp down on the Ferrari V12, the Ford-Cosworth unit was smaller and lighter – allowing a shorter wheelbase and better weight distribution. 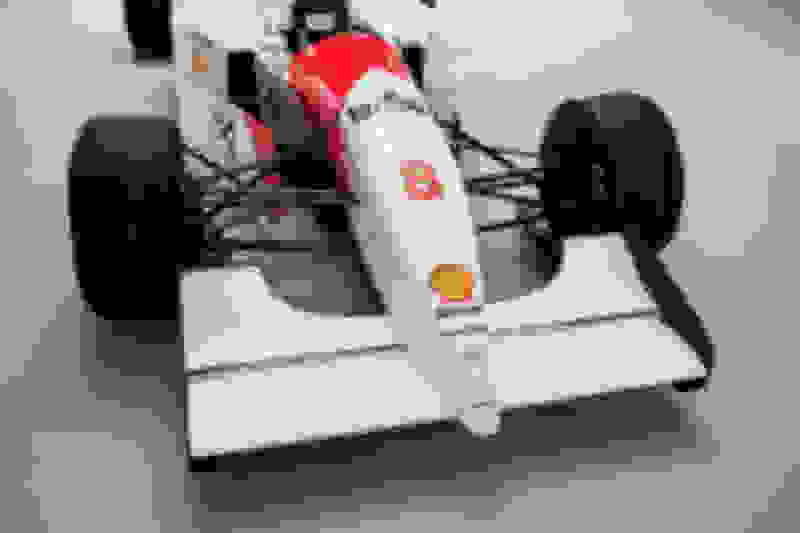 Ayrton Senna was paired with Michael Andretti as the 1993 season began, and the two men battled the Williams, Benetton, and Ferrari drivers – all of whom had a significant power advantage. Senna and Prost continued their legendary rivalry with one or the other of them taking wins in the first 10 races, with Damon Hill and Michael Schumacher taking wins later in the season, before Senna capped it off by winning the final two races. Senna piloted this car, chassis #6, in eight of the races of the 1993 season including the Spanish, Monaco, Canadian, French, British, German, Belgian, and Italian Grand Prix. 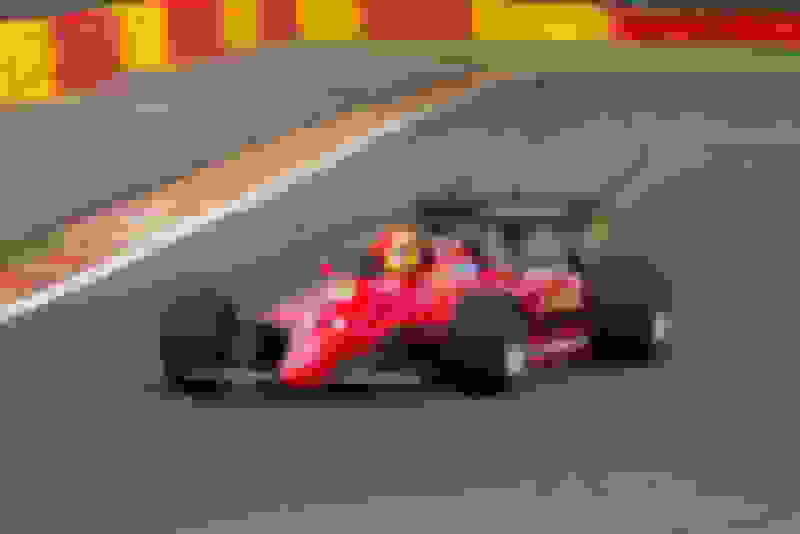 The stand-out race would be the famous win in Monaco, a race considered to be the highlight of the season, with a win at Monaco being second only to winning the World Championship. Now offered in remarkably original and running condition, chassis #6 will be going home to a new owner after the Bonhams auction in Monaco on the 11th of May. As you can doubtless imagine, it’s borderline impossible to accurately estimate how much a car with provenance like this may sell for – it’s blisteringly desirable and it’s a car that will be welcomed with open arms at any automotive event in the world. It’s probably safe to say that it’ll surpass the $7.5 million winning bid on Michael Schumacher’s Monaco Grand Prix-winning 2001 Ferrari, but it really depends who’s in the room (and on the phone) on the day. With its iconic red and white Malboro livery, it’s solid gold Ayrton Senna pedigree, and the fact that it’s from one of McLaren’s most successful eras in the sport. If you’d like to read more about this car, or register to bid, you can click here to visit the listing on Bonhams. Last edited by Legend2TL; 01-18-2019 at 05:51 PM. Not as pretty as the MP4/4 IMO, but still an iconic car. One of the best looking F1 cars of all time. 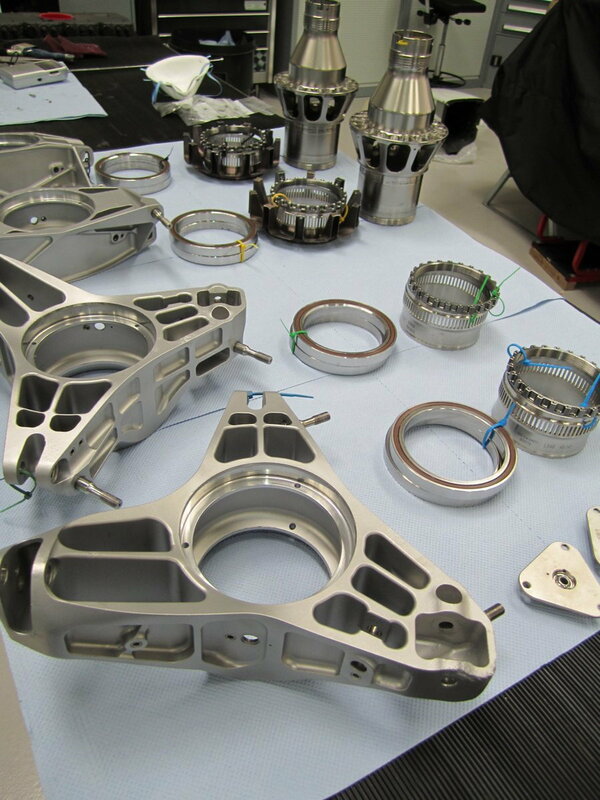 The age old debate of the the airbox. ...which is why I tend to lean towards the lower one on the 4.